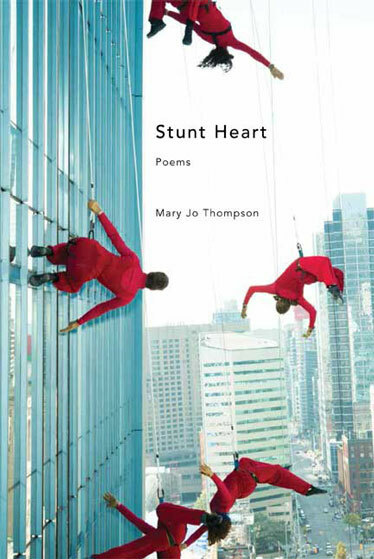 In Stunt Heart, Mary Jo Thompson’s debut collection, the poet investigates collisions of love, marriage, and death with toughness and humor. The title plays on endangered hearts and stunt performers, and appropriately, these poems are disarmingly affecting. Stark moments of admission punctuate the centerpiece sonnet series, “Thirteen Months”. As the poet contemplates the illness and death of an estranged husband, distilled emotion ranges in tone from a lip-curling comparison of marriage to a used car to the elegiac imagery of protecting the family garden from frost. Although no one brings back the dead by writing poetry, in Stunt Heart, Thompson’s poems demonstrate how one can plait sorrow with laughter to both face and contradict loss. I admire the hard precision of these sad and humorous poems, whose central concern is the confusion of death with marital love. For me, this theme culminates in the powerful sonnet sequence "Thirteen Months" (published in Best American Poetry). Here form imitates feeling as Mary Jo Thompson's sonnets expand and contract like a stunt heart beating. I also admire the patient work of language throughout this collection—language that is always striving toward truth and the controlled magic of poem-making. When the heat of the passionate tongue encounters, by winter’s laws, the frozen surface of life’s betrayals, a “smarting mouth,” bleeding, freed, cooled by snow––speaks with a colder, finer precision. This is Thompson’s own metaphor for the self that survives by speech—hers with eloquent mockery, rueful playfulness, candor, sheer nerve, words that “make/that long run down black keys…” such a lively cascade of tempered sound, the heaviness of truth lightened by mastery of style.